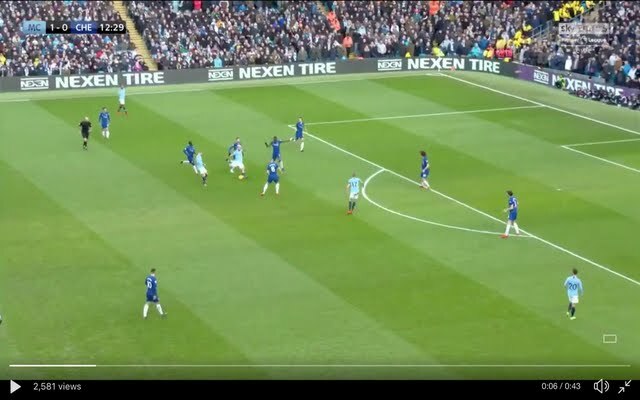 Manchester City forward Sergio Aguero has scored an absolute stunner against Chelsea, just moments after squandering a glorious goalscoring opportunity. In the 12th minute of the match, Aguero picked up the ball after a scramble, the Argentine looked up for just a second before curling a magnificent shot into the top corner. Kepa Arrizabalaga managed to get a hand to the effort but there was absolutely no way that the Spaniard was going to keep this rocket out.